Calling President Trump’s decision to pull out of the Paris Climate Agreement “under-informed,” Neil deGrasse Tyson says that perhaps it’s a result of Trump not comprehending the long-term consequences. Larry King: You said recently, “If I and my advisors had never learned what science is or why it works, I’d consider pulling out of the Paris Climate Accord too.” Are you saying that it was ridiculous to pull out of the Accord? 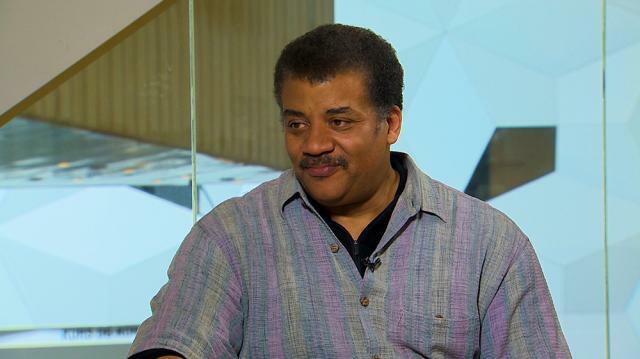 Neil deGrasse Tyson: You know, I am an educator. That was a tweet cited there. I am an educator. So whenever I see people making decisions that seem under informed to me then I say, “maybe they didn’t learn this in school, or no one taught them after school.” And so if you’re going to pull out of the Paris Climate Accord, um, it must mean you don’t fully understand the long-term consequences of that. I’m thinking. And if you don’t… where do we learn those long term consequences? From a fluency in science, technology, the causes and effects of things, the consequences of your actions and the consequences of your inactions. And people hardly ever talk about inaction; because what does a journalist do? “What did you do and what consequences came from it?” Rarely do they say, “what didn’t you do and what consequences came from it?” That’s not a story. People don’t write about what didn’t happen, relative to what then happens later. So my sense was, that maybe not enough people who were making that decision knew or understood how science works and what it is. By the way, if they did understand science and still made that decision, for me that’s actually a little more understandable. They’d say: “We choose not to care.” But at least, be honest and say that; because that takes the whole argument to another regime.